Hi guys, how's it going? Just another day counting down the hours until I can leave work and go home. It's not entirely too stressful today, which is always good news. I'm looking forward to gaming tonight, but that means I have to get things done quickly. I don't have time for naps or YouTube, both of which are part of my every day normal diet. You know what else is part of my diet? Awesome tasty drinks and juices. If you guys are on Instagram then you have probably seen the #nailsandmydrink hashtag. Today I have three polishes from the #JiorNailsandDrink Summer Collection. This has got to be one of the cutest ideas for a collection I have seen in a while. Let's take a look at these beautiful polishes. 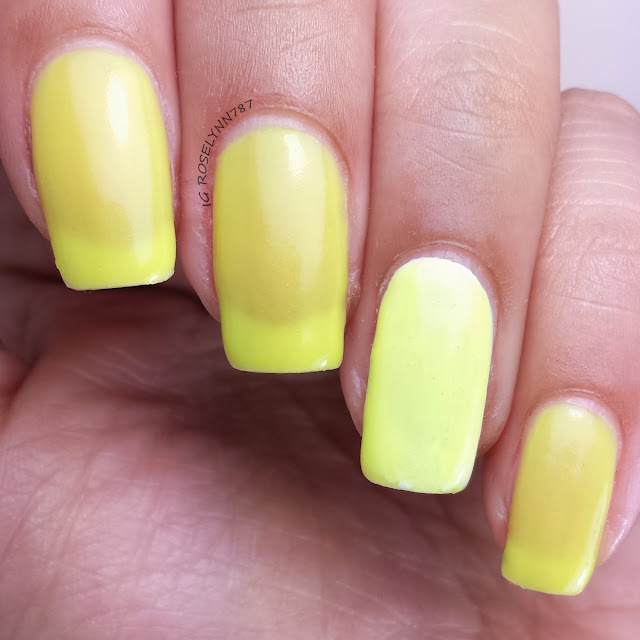 Pineapple Twister is a super bright yellow jelly that dries to a matte finish and glows in the dark. 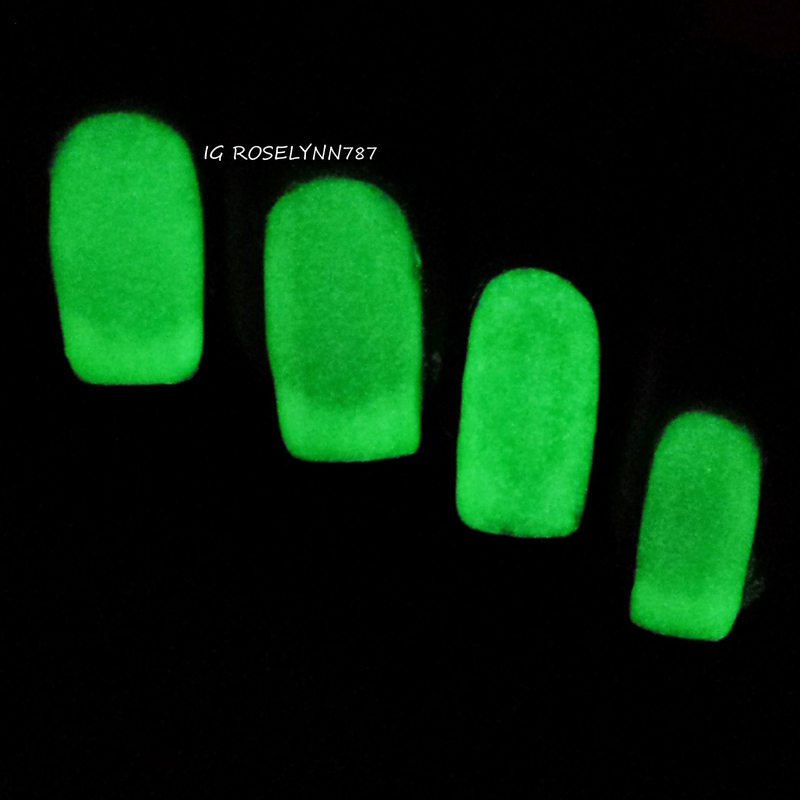 I haven't used a glow in the dark polish in at least a year! Why have I depraved myself of such awesomeness?! You guys should know by now I've been 'hating' on the color yellow cause it does not play nice with my skin-tone. Despite that, Pineapple Twister looks actually good on me! I think it might be because of the matte-like finish. Whatever the case may be, I'm digging this a whole lot. Swatched over a clear base coat* except on my ring finger which is shown over a white base coat. I used three thin coats and only two coats on my ring finger. I didn't use a topcoat for the swatch photos because I loved the finish without it. Great formula with a smooth application, no trouble whatsoever. 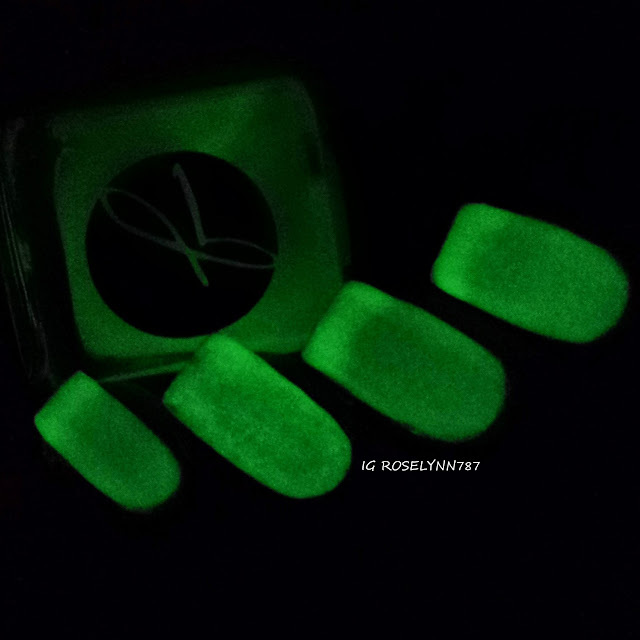 You can see the glow photos below. Before you ask what I did to make the glow so vibrant, I did nothing. Seriously I turned off the lights and took the photo with my phone. Absolutely gorgeous! 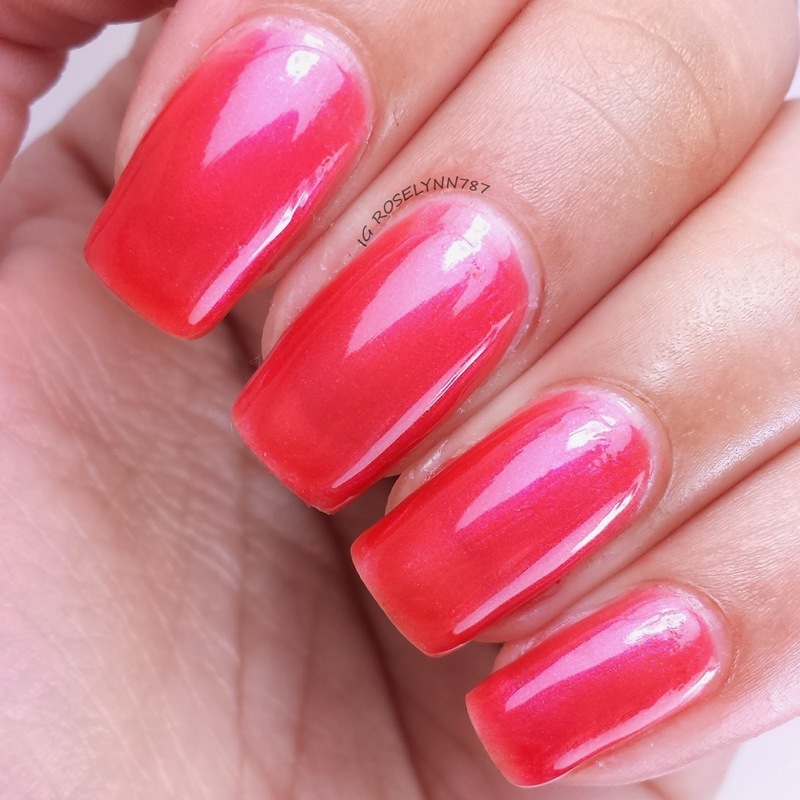 Raspberry Ginger Tea is a cute berry red jelly polish. This reminds me of fruit punch or like Kool-Aid, haha. Very cute and girly color. It just looks super sweet if that makes sense. Maybe it's the name giving off the idea but I just can't help thinking it looks fruity sweet. Swatched over a clear base coat*, used three thin coats, and sealed with a fast drying topcoat*. The formula was pretty good and didn't give me any clumping while layering. 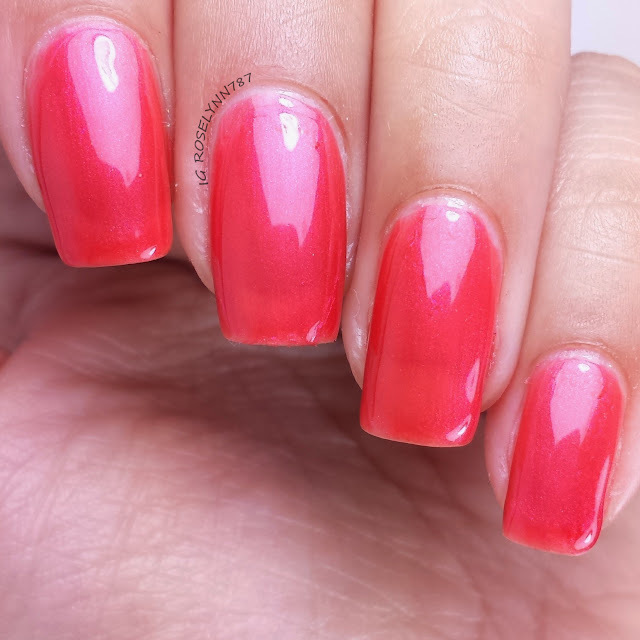 I suggest using a nice glossy topcoat to smooth out the layers and give it a beautiful shine. 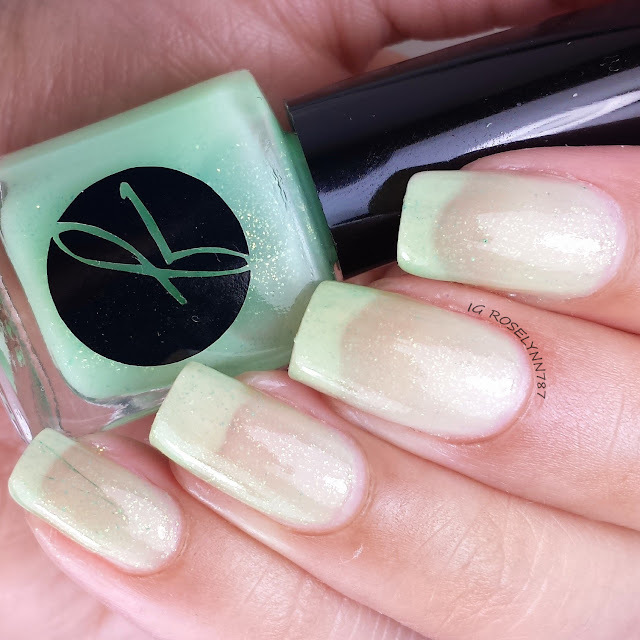 Green Apple & Cinnamon Infused Water is a light green polish with a lovely gold shimmer finish. 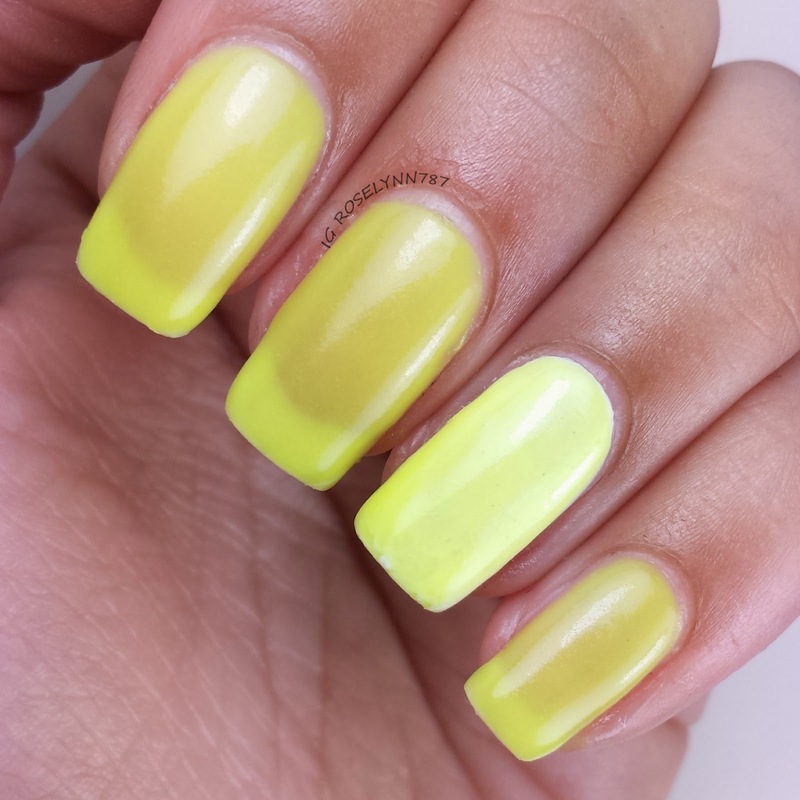 At first I was unsure about this polish because of the sheerness but it definitely grew on me the longer I wore it. This is actually a solar powered color changing polish. Unfortunately mother nature hates me and decided no sun shine for me so I couldn't capture it changing color. I like the fragile and elegant feel this polish radiates. Swatched over a clear base coat*, used four thin coats, and sealed with a topcoat*. As you can see even with four thin coats this polish is extremely sheer. I happen to like the look of it like this but if it's not your style then I'd definitely suggest layering it over an undie. The formula worked well and didn't give me any problems when layering. I love the golden shimmering undertones, though it's hard to see in the photos it's really apparent in person. Overall I'm absolutely loving these three polishes so much. The #JiorNailsandDrink Summer Collection consists of 24 polishes ranging from solar changing, shimmers, fluorescent, and glow in the dark. I'm definitely going to be checking out other swatches and picking up a few more. The formula is consistent and great to work with. I can't even pick a favorite among them all because they all look so fantastic. The best part for me are the names of these polishes. Super creative and they match up the shades perfectly! Jior Couture's #JiorNailsandDrink Summer Collection will be releasing very soon! Make sure you follow Jior Couture and don't miss out on the release date.